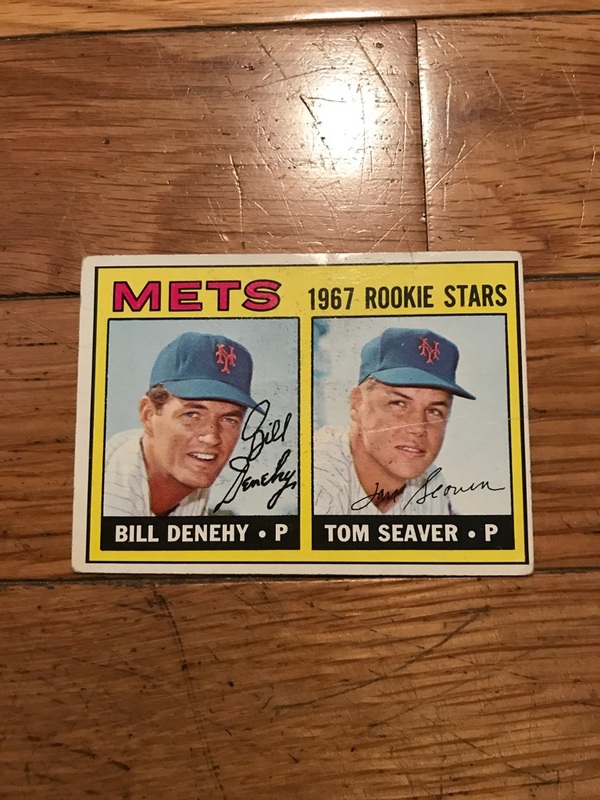 This is a 1967 Topps Tom Seaver rookie baseball card. Great condition. 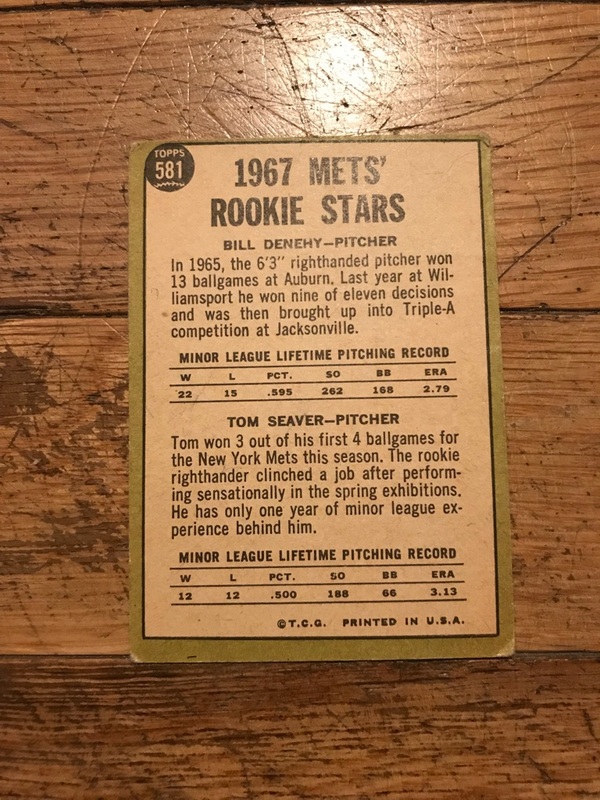 This card has been in a plastic protector sleeve for decades. Please message me if interested.